So Google Calendar tells that I have 7,000 Emirates Skywards miles expiring today. Not really a big deal for me, as 7,000 miles is not much. Either get some crappy stuff, or just let it go. Much to my surprise when I logged on, I actually have 16,000 miles expiring. And what can I get for that from the Emirates High Street Collection? Mostly A3 photographic prints, no-name watches, perfume, and $50 gift cards. 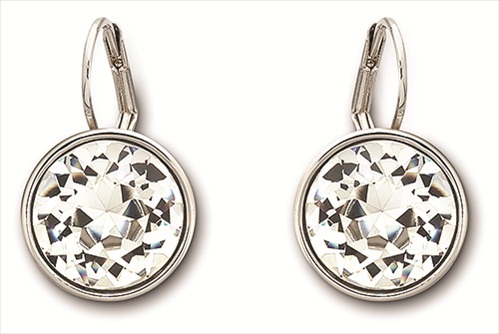 The best match I can find are some small Swarovski earrings or pendant. The Woven Heart pendant at 15,600 miles we already have. So it's a toss-up between the Bella earrings at 15,888 miles or the Solitaire earrings at 14,200 miles. Either way, I'll have to fork out an extra $19 shipping. You can use the remaining miles to pay for shipping, but 100 miles saves only around around $0.50. Not really worth it.